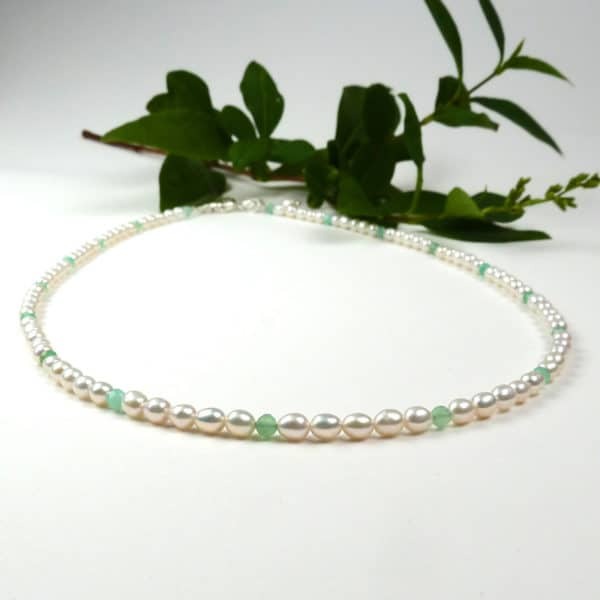 A simple freshwater pearl necklace with a splash of apple-green. 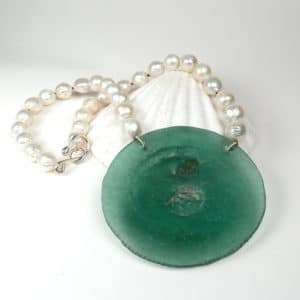 Lustrous small oval freshwater pearls are interspersed at intervals with small faceted chrysoprase in this pretty necklace. Length: 17.25 – 18 inches including clasp when laid out flat (clasp may be fastened to any link on chain). Clasp: sterling silver carabiner. Dimensions of pearls: 4 x 3mm approx.